Rossiya special aircraft division – a unit tasked with providing transportation to Russia’s top government officials and their entourages– has now started using planes produced by Sukhoi Civil Aircraft Company. 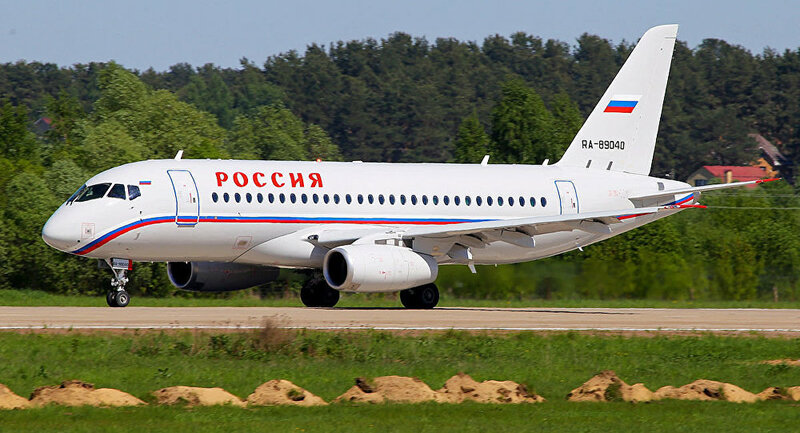 This year the Russian government aircraft fleet was bolstered by the addition of two new Sukhoi Superjet planes designated as Russian Regional Jet 95. Both aircraft were originally contracted by Lao Central Airlines but due to the company going bankrupt the planes were eventually refurbished and delivered to the Rossiya special aircraft division. Each plane has three passenger compartments and is capable of transporting up to 59 people (not including the crew members). The VIP compartment, furnished with two armchairs and a couch, is designed for two passengers; the business-class compartment seats twelve; and the economy-class compartment can accommodate up to 45 passengers. According to the Russian newspaper Izvestia, neither the president nor the prime minister will be using the Superjets for travel as the planes will be catering solely to the official delegations that accompany top government officials. Rossiya special aircraft division is a unit tasked with providing transportation to the Russia’s top government officials and official delegations that accompany them. As per the Russian legislation, the list of persons allowed to employ the division’s services include the head of state, president elect, prime minister, chairpersons of both houses of the Russian parliament, chairpersons of the Constitutional Court and of the Supreme Court, attorney general, chairperson of the Investigative Committee of Russia, head of the presidential administration and foreign minister. Also, on at least two occasions an Il-96 aircraft was loaned to the Russian Orthodox Church’s Patriarch Kirill during his official visit to China and a tour across Latin America.